Shihab here. It's been a while since my last post regarding the Toggle Mod update for Mini Militia. As usual and as you know, my each comeback will accompany a pleasant surprise. Hey, I've released a new update, versioned 39.0 with some mind blowing features and bug fixes, supports Mini Militia v4.0.42. This is Toggle Mod LIVE COMBO v38.0 works in all devices both ROOTED and NON ROOTED. It supports Mini Militia v4.0.36. Advanced Range Finder - Enable advanced 3d range finder, which helps you locate your enemies quickly and easily. Flags Everywhere / Flag Rain(CTF Special) - Works as same as the Sniper Everywhere/Sniper Lobby mod. The above selected flag will be spawned in each and every weapon spawn location. Selecting "Wep Instant Respawner" would do wonders with this mod enabled. If you're in the blue team, then you should select Orange Flag, if else Blue Flag. NOTE - If you select Sniper Lobby mod, then this mod won't work, vice versa. 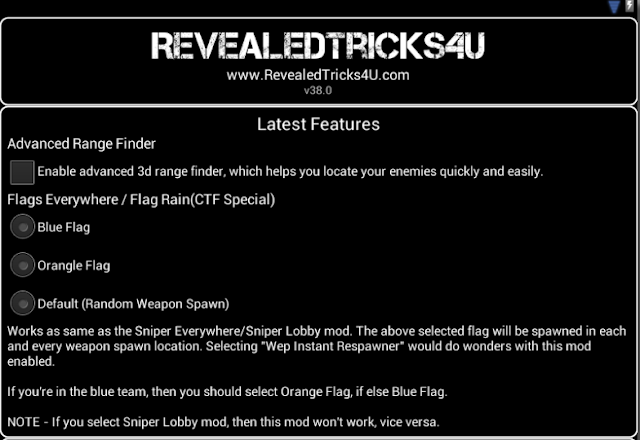 Install the downloaded "Toggle-Mod-COMBO-v38.0-RevealedTricks4U.com.apk" file. Open the application and select the features you want and press the "Patch" button. Now click "Launch Game - LIVE" button. After the game has been launched, you may select other features and patch without having to restart the game each and everytime you select a feature. Make sure you have already installed the latest game "Mini Militia - Doodle Army 2". It is version 4.0.36, at the time of writing. Now open the game at least once. Just quit after seeing the home screen. Open the "Toggle Mod" app. Just press the button "Nail it! ", and press "Un-install" and the "Install". Do you have anything new to suggest for an upcoming toggle mod? Then feel free to post your suggestion at our forum linked below. 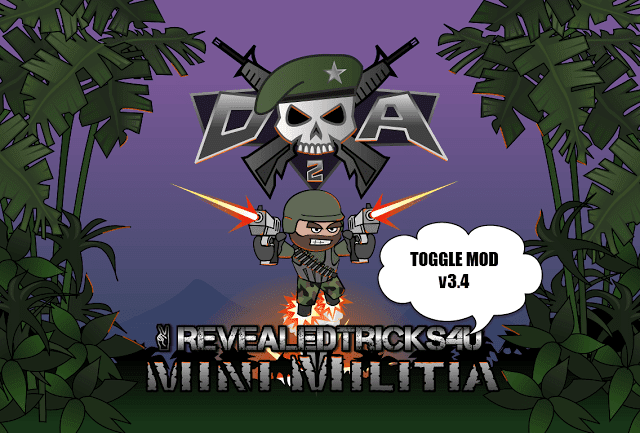 Download Toggle-Mod-COMBO-v38.0-RevealedTricks4U.com.apk (5.11 MB) - Click on Skip Ad after clicking this link, to get the download page. Shihab, Nice release. By the way, why don't you add some screenshots to this post. Could you please explain your query?  The download link is healthy. Bro why flags not spwrn everywhereon this mod. I select blue flag but not flag rain plz reply . I guess its not solved screen doesn't pass reading patches. Its like stuck in loop. Could you please post a bug report at our forums with detailed info? Iam on a rooted phone when I open the app it just saying "reading applied patches"
Sahib why you escaping, where you go ? You also know it's not working for rooted phone ,even if it's working it might be working till marshmallow I tried in 5-6 device ,it doesn't work. In my phone.. live patching is not working.. pls tell if it's only wid me or it's a bug.. if so then pls notify me about it..! Thanks for all the lovely mods.. Please read the article, you'll find the download link. Bro i have rooted my phone.. Whenever i open this app it shows reading applied patches and it is stuck there.. The phone i am using is redmi note 4. After having set unlimited blue flags... there aren't many flags... what's d prob? The flags only spawn in fixed weapon spawn locations. How to fix flag everywhere on ctf... I've tried so many times its not working..
Let's see. Where is the download link? Stuck at " Reading Applied Patch"
Dual guns not working and unable to pick any gun why?